The current trend of today's smartphones is to be able to create a smooth monolith-like device that is able to integrate all types of technology in a compact body with an all-screen front. It seems impossible, but it looks like ZTE has done it with the Axon S.
The images proposed today would show how ZTE has apparently succeeded in the enterprise of creating a 100% screen smartphone, achieving an incredible goal in the industrial design of the sector with the Axon S.
The creation of smartphones with a rather innovative design is not new for ZTE. 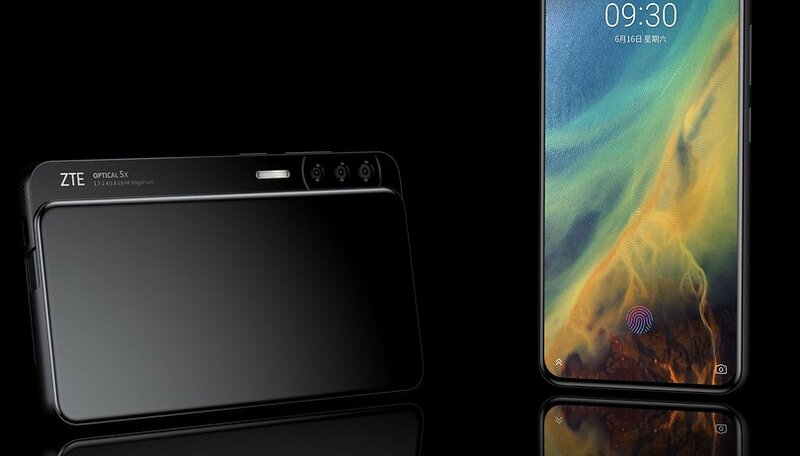 In fact, in the past the company has already delighted us with devices such as the Axon M, much ahead of the trend of folding smartphones (or dual screen as in this case). Axon S, on the other hand, aims to mark the beginning of a new trend. Frontally we find an OLED display with frames almost non-existent on all sides, with which ZTE has managed to reach 95% of the screen-body ratio. In addition, as can be seen from the images, there is also a fingerprint sensor under the screen. Although the front can be very similar to many other smartphones, you can't say the same about the back where there is absolutely nothing! Yes, on the back of the Axon S we find only a completely smooth glass surface, free of writing and cameras. All the cameras, including the front ones, have been inserted in a side slider that comes out from the left side and that houses frontally a double camera and a touch bar (with which you can probably zoom), while at the back you can see a triple camera. In addition, the renders give us another important information: ZTE Axon S is a 5G smartphone. What do you think about this system proposed by ZTE? Does that make sense to you? I can surely buy this one. It is beautiful and practical.